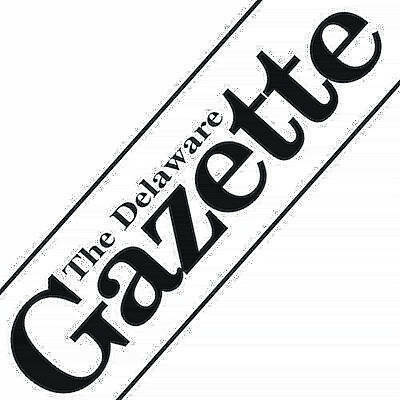 A Delaware County Grand Jury issued a number of indictments on Thursday, Dec. 21. • Cruz D. Call, of Delaware, was charged with two counts of robbery, one second-degree felony and one third-degree felony; and one count of domestic violence, a first-degree misdemeanor. • Stephanie M. Gibson, of Mount Gilead, was charged with tampering with evidence, a third-degree felony; one count of breaking and entering a fourth-degree felony; one count of theft, a fifth-degree felony; and five counts of forgery, fifth-degree felonies. • Ryan B. Cavanaugh, of Mount Gilead, was charged with one count of breaking and entering a fifth-degree felony; one count of theft, a fifth-degree felony; and five counts of forgery, fifth-degree felonies. • Proscovia L. Rwegoshora, of Newark, was charged with a count of theft and possessing criminal tools, fifth-degree felonies. • Mikyle A. Bowie, of Westerville, was charged with one count of having weapons while under disability, a third-degree felony; one count of improperly handling a firearm in a motor vehicle, a fourth-degree felony; and one count of receiving stolen property, a fourth-degree felony. • Cyril Gbaya, of Columbus, was charged with two counts of identity fraud, one third-degree felony and one fourth-degree felony. • Justin S. Phillip, of Columbus, was charged with two counts of identity fraud, one third-degree felony and one fourth-degree felony.